"Do you ever say anything encouraging…?" "I encourage you not to die." 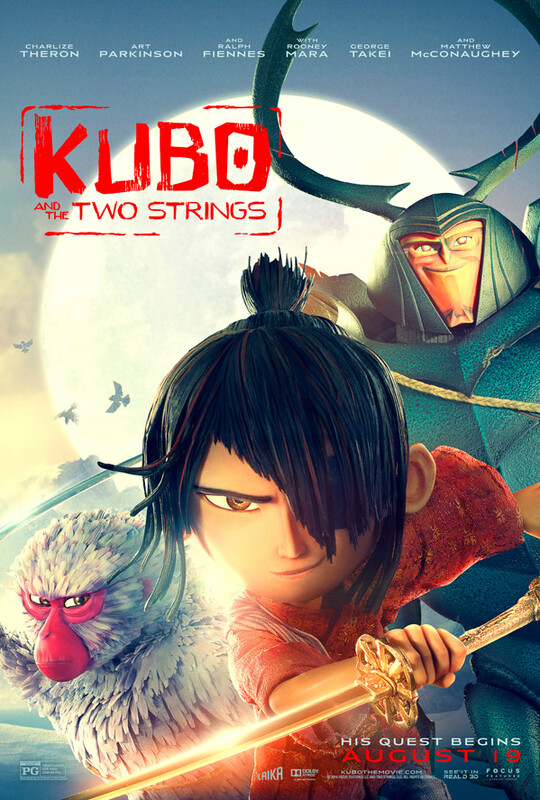 Focus Features has released yet another new trailer for Laika's stop-motion animated adventure titled Kubo and the Two Strings, which arrives in theaters this August. Yes, this is the fourth official trailer. Do we really need another one after three other gorgeous trailers? Not really, but why not, if it makes more people excited to see this movie. Art Parkinson voices Kubo, and the full voice cast includes Rooney Mara, Charlize Theron, Matthew McConaughey, Ralph Fiennes, Cary-Hiroyuki Tagawa & George Takei. I'm still crazy excited to see this, I think it looks awesome, and I'm counting down the days until it arrives in theaters. Fire it up below. You can still see the first three trailers for Laika's Kubo and the Two Strings here + here + here, for more. Damn, I am so ready to see this already!